Get away withy me and you'll recover your life. What does Jesus ask you? What does He offer you? What are the results of coming to Him? Here's a perfect Saturday song, a what-a-good-day-we-had-yesterday song, an I'm-glad-I-married-you song. We've seen some crazy weather in the Puget Sound region this month, windy days, rainy days, sunny days, snowy days. Schools have been closed and cars have piled up or landed in ditches. It reminds me of another memorable February -- 1989. Only that year the thing I most remember was ice. 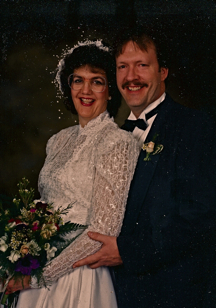 In August of 1988, when Tom and I got engaged, we chose February 25 for our wedding. We'd be married at 1:00 at Seattle First Free Methodist Church, near the campus of Seattle Pacific University, on the north side of Queen Anne Hill. We mailed out our invitations and made our preparations. February arrived with a vengeance, bringing with it low temperatures and lots of snow. Lots and lots of snow! 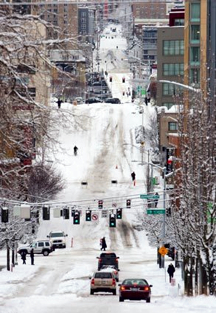 It would warm up during the day, only to freeze again at night, covering the roads with ice, making travel treacherous. We wondered if anyone would be able to make it to our wedding. February 25 was a beautiful day. The snow on the ground was no threat, nor was there any problem with ice. Much to our delight, the church was packed! There was a remodel going on in the building which required people to pass through a long, relatively narrow hallway that sloped from the first to the second floor. It must have been warm in the long, slow line that took people from the sanctuary to the reception. I think it must have made them thirsty. Weeks after we returned from our honeymoon a friend said, "It was so cool that you served water at your reception!" This was an error that could not be ignored. "We didn't serve water! We served punch! Tom and I bought the ingredients ourselves -- we know we served punch!" "Well, by the time I got there it was water," she replied! Jonna Doolittle Hoppes was disturbed by the depiction of her grandfather, General Jimmy Dolittle, in the original script of the movie, Pearl Harbor. So she worked with Disney to clean up the character whom she knew to be a very different man than the one portrayed. Out of that effort came the book Calculated Risk, The Extraordinary Life of Jimmy Doolittle, Aviation Pioneer and World War II Hero: a Memoir, published in 1950. This video shares the story of her grandfather, an amazing story that bears telling. But it also is a call to people to share their history with others. Check out this post or go to StoryCorps' website for ideas on how you might share your own story with your loved ones. Yesterday afternoon I got to spend time with some of my most lovely friends, and they live at the Warm Beach Senior Community. I used to see them on Tuesdays as the Intercessors group met to pray for the needs of the church family. If you really want to get to know someone, spend some time praying together. I know these folks to be wise, tenderhearted, and full of compassion, friends of God, and confident in His desire to answer prayer. Some of those prayers were for me and my family as well. How many times, I wonder, did this group surround me when I was the one in need of prayer? A year or two ago our group disbanded, leaving me little opportunity to see these friends. 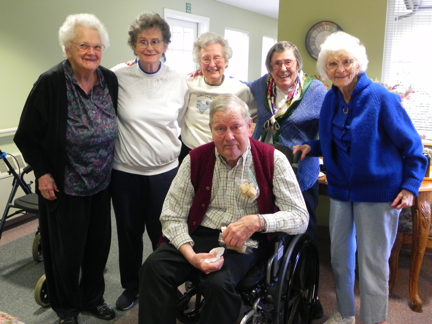 So Nita and I decided we needed to visit them at the Senior Community. We arrived to find them all seated in the alcove of Cedar Court, walkers parked near by. Over coffee and goodies, we chatted about world travels, missions, grandchildren, and family connections. All of our friends are in their 90s. None is free of health problems, yet they are gracious people, joy-filled and quick to encourage. John and Ruby, who spent many years in China and the Philippines as missionaries, opened their home to international students upon their return to Seattle. 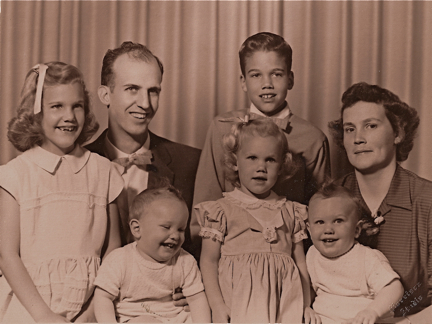 Leona lost her husband as a young wife, raised her son alone, and spent many years as a teacher and a missionary. Later she married my grandma's cousin. Betty was a school cook at Coe Elementary in Seattle where she and her husband raised three delightful daughters, all friends of mine. She exemplifies Paul's words, "in everything give thanks." Gladys and her pharmacist husband operated a drug store for 30 years. After his death she set off for Burundi (on her 65th birthday!) to work in a dispensary; she spent most of the next eight years in Africa. They all have lived their lives to serve God and others; I am honored to call them friends. A salesman approaches. "See anything you like?" "Well, the Vega's pretty cute, but I can't drive a stick shift." "Let's give it a look. You know it's just $2000!" "Yes, that's a great price, but I don't want to buy it." "It's a good looking car. Do you want to sit in it?" "Well, I can sit in it, but I'm not going to buy it." I sit down. It's quite comfortable, even with my long legs. "It feels good, but I'm not going to buy it." "Would you like to take it for a spin?" "Well, I do like it, but I can't drive a stick shift." "Why don't you have your dad drive and just see what you think?" So Dad and I climb into the car and head to a country road between Marysville and Snohomish, Dad driving. When there are no other cars in sight he stops in the middle road and comes around to my side. "Now you try it." I don't move. "I'm not driving this car." "You're thinking about buying this car! You need to drive it and see if you like it!" I don't budge. "Well, I'm not driving it now!" Eventually Dad gives up and slides back under the steering wheel. We drive home in silence. When we pull into the driveway my 17-year-ol brother Ted comes bounding out of the house. "Cool car! May I drive it?" Ted and Mom climb in. Ted drives to the high school parking lot; he's having a great time! Finally he stops the car and it's my turn. I make a few circles in the empty lot, shifting gears several times as I accelerate and slow down, killing the engine in my attempts. Dad drops Mom off at home and drives Ted and me to the car lot. "I'll take it!" Stunned, Ted and Dad look at me, mouths open. I sign the papers, put down my money, get behind the wheel of my very own car and jerk my way back home! If you look to the Bible for answers to your deepest needs, you will not find them. But if you look to Jesus, you will find the answers to your deepest needs in the Bible. Jesus warns against putting our faith in the Bible rather than in Him: "You diligently study the Scriptures because you think that by them you possess eternal life. These are the Scriptures that testify about me, yet you refuse to come to me to have life" (John 5:39-40). I love the Bible. I treasure it. I delight in it. 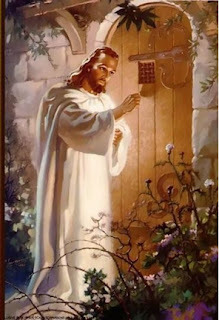 In the Scriptures I hear the voice of the One I treasure, the One in whom I delight, the One my soul loves. When I open my Bible, this prayer is in my heart: "Show me your face, let me hear your voice, for your voice is sweet, and your face is lovely" (Song of Solomon 2:14). If you read God's Word as if it were a book of rules or a textbook, or even a book of wisdom, your soul will not be fed. If you come to His Word as the meeting place between your heart an His, "[your] soul will be satisfied as with the richest of foods" (Psalm 63:5). God always responds to those who respond to Him. Fry the onion until it is transparent. Add to the skillet the mushrooms, water, sugar, soy sauce, and meat. Simmer for 15 minutes. Add spinach. While spinach is still bright green, add beaten eggs to skillet and cover. Cook briefly, just until set. Serve over individual servings of rice. Serves 4. NOTE: If you use dried mushrooms (ex: shitake), simmer 3 dried mushrooms in 1 cup water for 10 minutes then remove mushrooms and cut fine. Use the water from the mushrooms in place of 1 cup fresh water in the recipe. 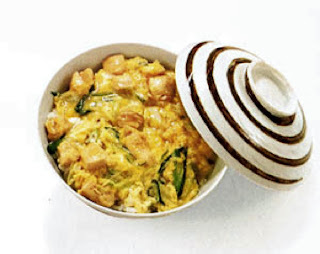 * In Japanese cooking, donburi is a “rice bowl dish” consisting of fish, meat, vegetables, or other ingredients simmered together and served over rice. Because this recipe is made with chicken and eggs, it is called “oyako” with “oya” meaning “parent” and “ko” meaning “child” (chicken/parent, and egg/child served over rice)! It's a wonderful change of pace, and one of our favorite dishes. Astronaut James Irwin, who in 1971 walked on the moon during the Apollo 15 Expedition, shares his experience of seeing Earth from outer space. The Moon and Beyond from CTA on Vimeo. If you haven't been to Marysville's Value Village lately, you're missing a great adventure! I spent some time there last weekend, admiring their expanded and refurbished interior and the well-displayed merchandise. According to Brian Willey, district manager, this is one of over 250 stores in the US, Canada and Australia. Known by the name Savers in much of the country, the privately owned chain started in California in 1954 but early on moved to the Northwest. 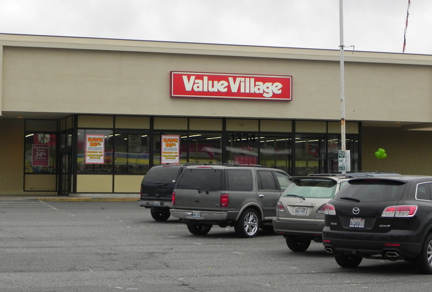 It's corporate offices are in Bellevue, and there are 18 stores in the Puget Sound region. All donations made to Savers/Value Village stores are purchased from non-profit organizations in the community. The Marysville store works with two organizations - The Moyer Foundation, to help cover the costs of their camps for children (Camp Erin for children ages 6-17 who are dealing with bereavement and Camp Mariposa, for children and youth who have family members with addictions and co-dependence issues) and Northwest Center, which provides services to people with developmental disabilities. Throughout the company, over one billion dollars has been given to more than 120 partner organizations to date! 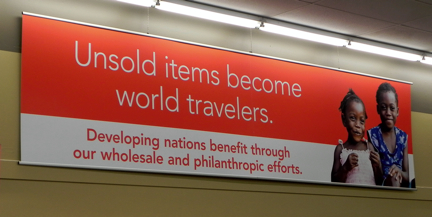 In addition, they send clothing to developing countries, providing small local businesses assistance in micro-enterprise. 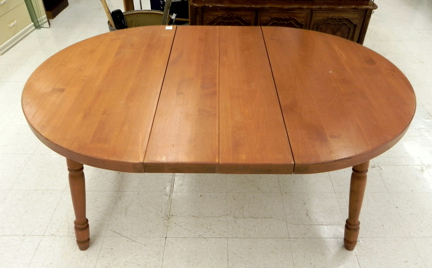 I found the store to be incredibly clean and attractive, with an outstanding selection. 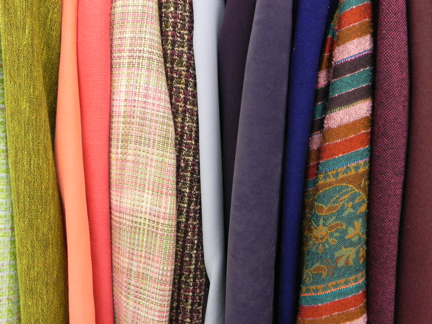 Indeed, what could be more lovely than the variety of colors and textures in these women's jackets and scarves? 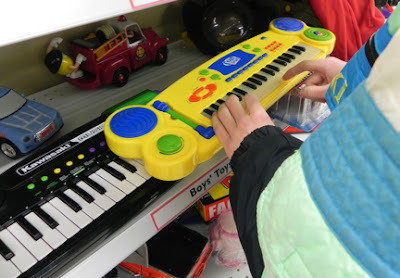 Whenever Tommy has a little extra time and some spare change, he finds his way to Value Village, where he checks out the keyboards and the electronic toys for circuit bending, and hunts for jeans and t-shirts. Here he is in a VV jacket. This day he came home with a sweatshirt, jeans, and a pair of tennis shoes, as well. 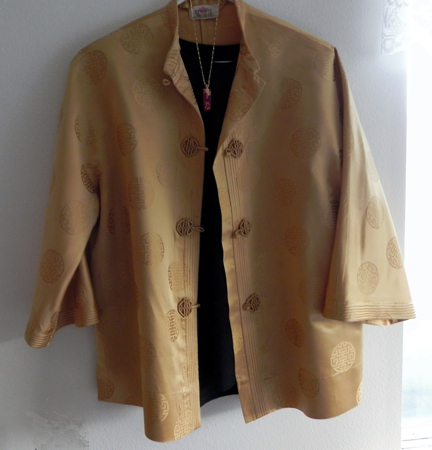 Among my recent purchases, this Chinese jacket is one of my all-time favorites. I ran into my friend Christina in the store. 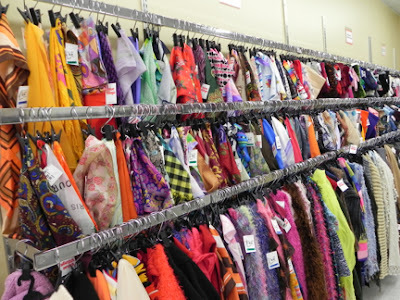 She said as a kid she would never go to a thrift store, but now she is an avid Value Village shopper. 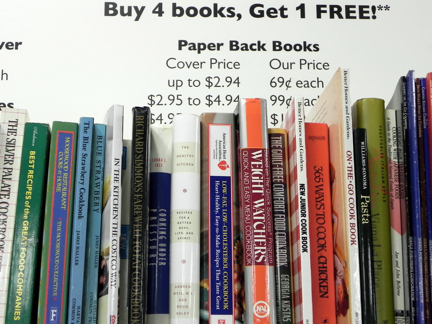 Her mother's motto, "Always buy the best, but get it on sale," has become her own as she teaches her kids how to recognize a bargain. She was especially excited about these nearly new, name brand shoes. They'd be about $150 in a department store, but she found them here for just $25. 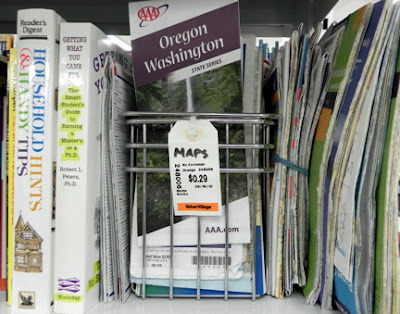 Whether it's books you want, or maps, furniture or housewares, you're likely to find it at your neighborhood Value Village! *What if God designed marriage to make us holy, not happy? *Good marriage isn't something you find; it's something you make, and it takes time. *Instead of looking for a soul mate, we need a sole mate. It involves walking out a biblical love over time. Gary has a great article here on sole mates. 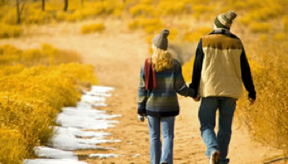 Not only does he offer wise counsel for people who are looking for a spouse, he also offers insights into living the life of love in our marriages. Valentine's Day is fast approaching. Here are some suggestions to make your Valentine's Day especially meaningful. Valentine's Day is a day to show love. Cards, flowers, candy -- those are all fine ways, but why not give a coupon that will demonstrate your love by an action? Offer to wash the car, or scrub the kitchen floor, or empty the dishwasher for a month (if that's not your regular job, of course!) or some other activity that would be a blessing to your loved one! Drop by a coupon good for a weekly phone call to an elderly friend, or for an afternoon of babysitting for a tired parent. Who do you know who would love a personalized gift of you? When I look for cards at the store I so seldom find one that exactly expresses my sentiment. Maybe it's time to dig out the stationary and write a note. You could enumerate three things you love about the person, or reminisce about how you met. Maybe you are overdue in expressing thanks for someone's thoughtfulness and you can express that in a hand-written note. Slip in a small trinket, bookmark or photo, some small keepsake. Everybody loves to get mail, and if it is a personal note from a loved one (especially if it says something nice about them! ), they love it all the more. One last suggestion. If you really want to impress your beloved, check this out -- how to say "I love you" in over 100 languages! Memorize some of these to whisper to your Valentine! It's 9:30 as I pull into a parking space at Camano Chapel. 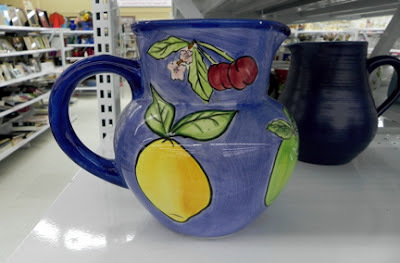 I'm at The Lighthouse Co-op, a Christian homeschool cooperative that meets at Camano Chapel and offers experiential, hand-on learning opportunities for homeschool families. There are 64 families enrolled this term, which began in late January and will run through March. When I arrive, the opening assembly, which begins each class day, is over and students and parents are moving across the campus to their classrooms. I'm here as a guest of Christina Bentley, a homeschool mom from Sedro Woolley. Like all the parents, Christiana is teaching a class, and she's asked me to come and share with her students. The class is The Geography of Missions and the five students present are in grades 3-6. I've come to tell them about my experience as a missionary to Japan. Last week the students talked about China, so before my presentation begins they share the reports they've worked on during the week about China. One child shows the name stamp that his dad brought home from a trip to Hong Kong and gives the kids a turn at inking the stamp and stamping their own paper. The others share facts about the Great Wall, the animals of China, and other items of interest they have learned from their research. I serve sushi and Japanese apple pear; the helper mom has brought the kids chopsticks, with which they try eating their sushi. I share my pictures with them, we count to ten in Japanese, I talk about my apartment, Christianity in Japan, the sweet potato truck. I answer their questions and encourage them to get to know the Japanese students who come for summer trips or to attend community college. Then, with a flurry, the class is over. The kids gather their things and move on to their next class while a couple of moms come into our classroom and arrange the chairs in a circle for knitting class My friend Karen Schmidt, who has been assisting in the Spanish class next door, moves on to teach her Creative Writing class, where Christina will be assisting. All students take three classes each Wednesday, the day the co-op meets. There are twelve classes offered each hour. Classes throughout the morning are diverse -- academics (such as math, science, and astronomy) and enrichment classes (painting, scrapbooking, ballet, puppets, public speaking, to name a few). Karen's son Jonathan, a high schooler, has enjoyed classes in CAD (Computer Aided Design), Photoshop, ultimate frisbee, and remote control aircraft. A homeschool family is eligible to join the co-op once their eldest child is six years old or a first grader. Younger siblings are welcome to attend the kindergarten class and the pre-K child care. Families who participate in The Lighthouse Co-op can enjoy field trips and can take advantage of the standardized testing offered by the co-op. And they find that their children's worlds expand as they interact with other students and benefit from the enthusiasm and expertise of the teachers. It's not too early to be thinking about school for your kids for next year. If you live in the Stanwood/Camano area and if you homeschool (or think you'd like to) you can learn more about The Lighthouse Co-op here. Marcus Buckingham grew up with a terrible stammer. There was a tradition in his British all-boys school that a senior student should be assigned to read the lesson to the younger students and the dreaded day came when Marcus was called upon to read. The 13-year-old stood before the 300 boys gathered and began to read -- without impediment! That is the day, says Marcus, that he learned the secret of speaking that works well for him: to imagine he's speaking to a crowd, even if he is only conversing with one or two. As I sat in the sixth row on the floor of the packed Key Arena in Seattle last October for the Women of Faith conference, I heard the articulate, entertaining Marcus Buckingham for myself. He's a stellar example that a speech difficulty can be overcome. 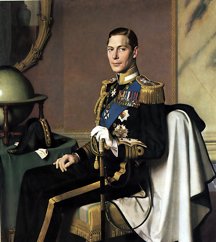 Last night we agonized with King George VI as he struggled to overcome his stuttering, as portrayed in the movie, The King's Speech. Although there were no high speed chase scenes in the film, no murders, no spies, still I felt a great deal of anxiety listening to a well-intentioned man trying to utter even a few words. The tremendous amount of work necessary for him to become a public speaker required confronting issues in his life much deeper that an uncooperative tongue. The well-chosen actors all did their part to make the re-telling of this victory in the life of King George compelling and rewarding. King George had his speech problems. You've got your own problems; I've got mine. Dealing with them can be excruciating. But oh, the joy, the triumph, that awaits the one who is willing to face those problems and persevere! 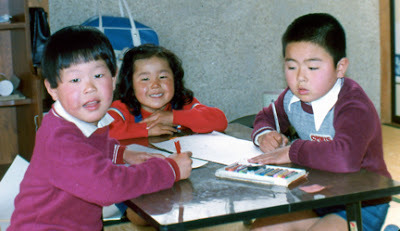 I've been invited to share with a group of homeschool boys about my experience in Japan. So I'll take along some sushi and a Japanese apple pear to give them a taste of Japan, and I'll tell them a bit of my story. 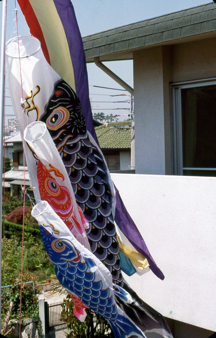 I went to Japan in 1978, a reluctant missionary. It was during my good-guy-for-God period, when I thought that I could just "shine my light" without needing to talk about my faith. 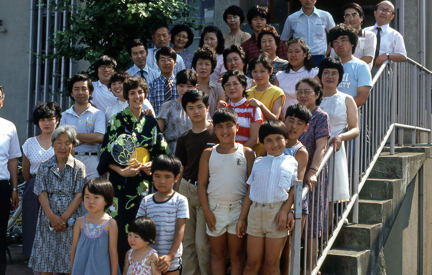 When I got to Japan and met the lovely students, neighbors, and community people with whom I lived and worked, I realized that most of them didn't know the Good News of Jesus Christ. But I did, and I could share His love with them. My whole approach to being a missionary changed with that revelation. I learned to be open about the Lord but not pushy, a friend to the people I met while reflecting the grace of God to them. And I began to see life through the eyes of people who had no exposure to the gospel so that I could share it better with them. Along with my story, I have prepared a power point for my presentation tomorrow. Here are some pictures that I think they will enjoy. Children's Day in Japan is celebrated on May 5. It especially honors boys, and is to celebrate the healthy growth of younger boys in particular. Carp windsocks are flown from homes of families with boys, a very large fish for the eldest son, and ranging in size for each younger brother. You can learn more about this festival here. My church family in Sendai gave me this yukata (summer kimono) as a going-away gift. Here we are, gathered together on the church steps not long before I returned home. The sweet potato truck! 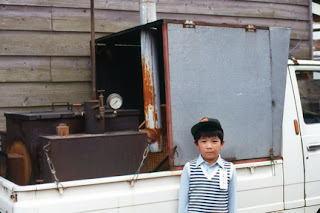 My pastor's son, Susumu, stands in front of a truck that is set up to cook sweet potatoes. What a joy it was, on a cold winter's evening, to hear the loud "hooooooo" of the steam whistle on the sweet potato truck as it entered the neighborhood. We would gather some yen, throw on a coat and shoes (which we did not wear in the house) and rush out to buy a sweet potato, hot out of the steam oven in the back of the truck. The driver would take our money, wrap a sweet potato in newspaper, and drive off down the road, leaving us happily enjoying a wonderful treat. Here's an idea for you if you have some vacation time in March or April. Let us know if you actually get to see this yourself. This brilliant coloured map by Nicolas Sanson is a fascinating combination of scientific cartography and geographic misinformation. 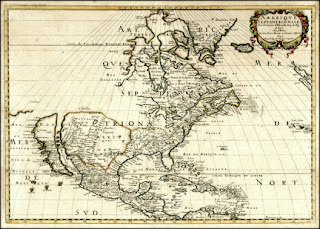 While it was the first printed map to show all five of the Great Lakes, it perpetuated the tradition of depicting California as a huge island. The legendary lands of Ciboa and Quivira are vaguely located in the Southwest and the Rio Grande is shown with its mouth on the west coast. This is one of Samuel's favorite songs. because it tells "the whole story of Jesus." If you want to know more about Travis Cottrell, you can check out his website. It was one of our rare meals in a restaurant when we were young. After weeks of practicing our manners at home, our parents decided we were ready for an outing. After church one Sunday we trotted off to the B&M in Marysville. The place was jam-packed. Seated around a large table in the middle of the restaurant, we watched the wait staff dash back and forth, always passing us and never stopping to face the family with "all those kids!" Finally two-year-old Teddy had had enough. He picked up his fork in one hand and his spoon in the other and banged them on the tray of his high chair and bellered at the next waitress who passed, "Listen here, you lung lady, bring us some supper!" In Mark 8, when Jesus told the disciples that He had compassion on the large, hungry crowd and explained the dilemma to them (they'd been with him for three days with nothing to eat and, if he were to send them home hungry they'd collapse on the way), the disciples questioned him. "Where in this remote place can anyone get enough bread to feed them?" 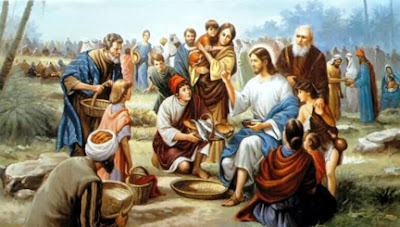 But the disciples had all they needed to feed the crowd. They had seven loaves, and they had Jesus. In talking about sharing our faith these last couple of weeks, have explored the importance of a lifestyle that allows for us to live for Christ and share His love with others as opportunities arise. But there is also a place for sharing intentionally. Lilias Trotter is surely an example of being a bold and direct witness for Christ. She was not insensitive to the people with whom she worked, but from a heart of love and gratitude to God she shared freely with others. John Gunderson was born in Columbia, South America and adopted by a family from the United States. Out of a heart of love and gratitude to God, he found his birth family and shared with them the message of salvation through Christ. This video, from Haven Today, tells his story.